As the ISIL conflict ceased across Iraq, conflict-affected areas in the country experienced an uptick in returns of their internally displaced populations. The pace of this return, however, appears to be slowing, leaving the populations who still remain behind either in, or at risk of, protracted internal displacement. 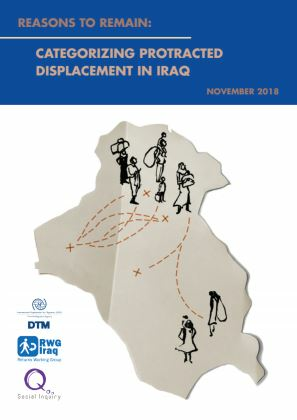 This report provides a brief overview of the theoretical underpinnings of protracted displacement and their implications in the Iraq context, the methodology for this desk review and analysis, a time series of IDP movements, the categorization of reasons IDPs may still be displaced and a discussion of findings.